Here comes a massive compilation of the Non-Standard label, which was produced by Hosono Haruomi (YMO) during the 80’s. With genres covering techno-pop, ambient and improvised music, the label featured artists such as World Standard, Koshi Miharu, Mikado, Urban Dance, Hosono’s unit Friends of Earth (F.O.E. ), Shi-Shonen, and of course Pizzicato Five. This compilation was selected and supervised by World Standard’s Suzuki Sōichirō. 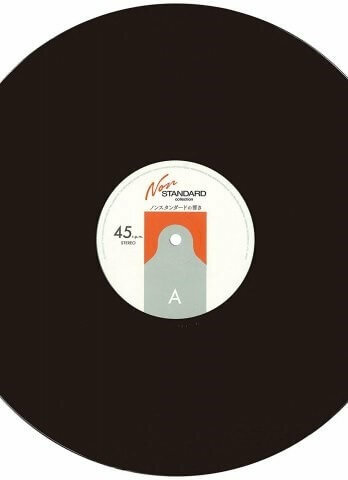 Among the large number of essentials and rarities that are featured, included are three previously unreleased Pizzicato Five demos (“Vacance”, “Algonquin Hotel” and “dōbutsuen no wani” (later sung by Togawa Kyōko)) and two outtakes of Hosono’s “S-F-X”. Coming as a limited edition of 4 CDs packaged in a large 144-page book, the compilation is said to be great of course for those who were fans back in the day, but also for those who missed experiencing the label in real time. Check out label Teichiku’s official release page.